For those of you who still don’t believe in Santa Claus, you may want to rethink those doubts. 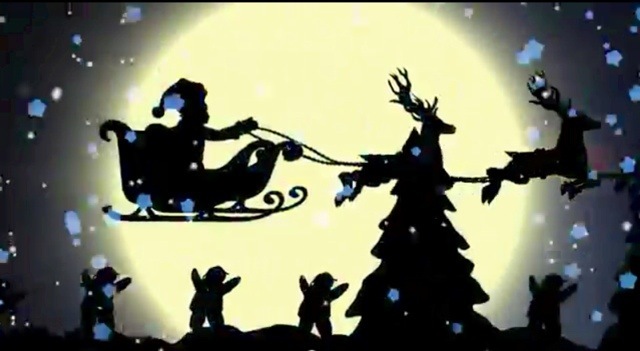 Alan Chang, who is the Pianist-Arranger for Michael Buble, wrote and produced an inspiring arrangement and video of Rudolph The Red-Nosed Reindeer that is thoroughly captivating. It will make you melt like marshmallows in hot chocolate on a cold winter’s night. According to the video’s YouTube page, this song is from a collection of songs written by the Buble Band while passing the time between performances during the holiday season. Imagine being this talented and prolific in your spare time? Most of us would watch Seinfeld, Frasier or Golden Girls reruns, shop online, play with iDevices, read a book, whatever to wind down. But then, we are talking about brilliant musicians who, individually and collectively, embody some of the best talent in the business today. RUDOLPH appears on the album, COLD DECEMBER NIGHT, a collection of melancholy renditions of Christmas Classics as envisioned by members of MICHAEL BUBLÉ’S touring band. ALAN CHANG, BUBLÉ’S Music Director, Pianist and Co-Writer (since 2003) produced the album. CHANG’S inspiration for the record originated several years ago when BUBLÉ BAND members, all great jazz musicians in their own right, began writing arrangements of Christmas songs as a fun way to pass the time on the road during the holiday season. This backstage musical exchange of personal Christmas arrangements soon became a much-loved tradition within the BUBLÉ BAND. This Christmas, ALAN CHANG has collected his favorite BUBLE BAND arrangements for his self-produced album, COLD DECEMBER NIGHT. The song, “Cold December Night,” is the only original song on the album and was written by ALAN CHANG in 2008 as part of the BUBLÉ BAND’S backstage Christmas music festivities. CHANG decided to include the song on his own album, COLD DECEMBER NIGHT. Coincidentally, when CHANG played “Cold December Night” for MICHAEL BUBLÉ at the end of the Crazy Love tour during the summer of 2011, BUBLÉ liked the song so much that he decided to record his own version for his album, MICHAEL BUBLÉ CHRISTMAS (Released Oct. 24, 2011). A Cold December Night is available on Amazon, iTunes and CDBaby. On this cold, well, November night, I think I will head on over to iTunes and treat myself to some nostalgic and comforting warmth via this innovative album. Can’t think of anything better. Can you? Very nice, MCL. I don’t believe my Grandbabes would like this version, but they would like the visuals. Are you keeping up with all that goes with Christmas? Music can be such a spiritual experience, right? KariAnn – I am trying to keep up but am sometimes overwhelmed by it all. But the grandchildren sure do help to keep the simple things in perspective, reminding me to laugh, laugh and laugh again. Their young spirits evoke pure magic in the air. So wonderful. The true spirit lies in these young children. My granddaughter reminded me tonight that December was not only her birthday but the. birthday of Baby Jesus. I thought that was a beautiful thing to hear from an almost 7- year-old child.